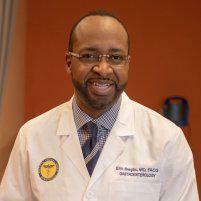 My visit to Dr. Ibegbu office was very good, the staff ( Ms.kim & Ms.stacie) are great at what they do. Very pleasant would best describe my visit. Love the staff! Simply awesome!! Dr. Ibegbu is the man!!! Best doctors office experience ever!!! I would give them a 10 if I could!!! My last procedure at another office was 3-4 hours!! Not here. Staff is AWWWWEESOOME!! The doctor is AMAZING!! I'm telling everybody. Efficient!!! He is the best!!! Kim and Stacey are great too!!! This was my second visit in 4 years to see Dr. Eric and his wonderful staff. Everyone is always so happy and pleasant. Excellent Dr. and always so kind. I love his shirts. Thanks guys for a great job. Great! !!! Staff was wonderful! !! Staff awesome! Very professional and humorous... Would recommend, let's do it again next week lol! Pleasant, quick, very good nurses. Very friendly and concerned with my overall being. Thanks for great service.